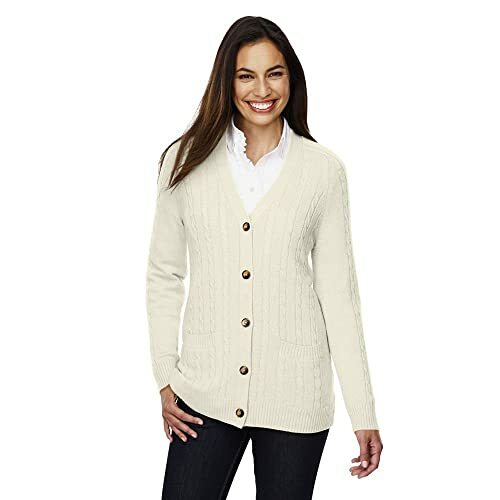 An argyle pattern complements this cardigan's luxurious touch. We guarantee long-term tenure in your sweater wardrobe. In our exclusive FeelGood yarn — as soft as cashmere but as affordable as cotton. Fully fashioned with rib-knit cuffs and bottom. Mid-hip length. 55% cotton/25% nylon/20% wool. Dry clean or hand wash. Imported. 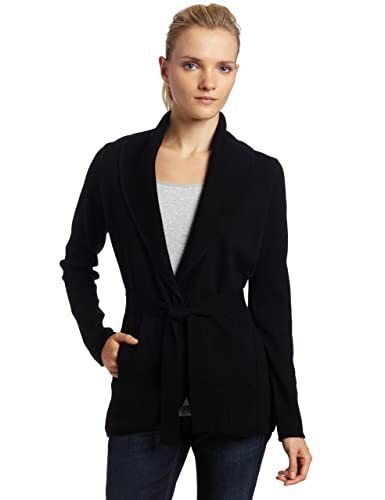 Cozy and chic, this tie-waist wool sweater is a sophisticated option for work and weekend. 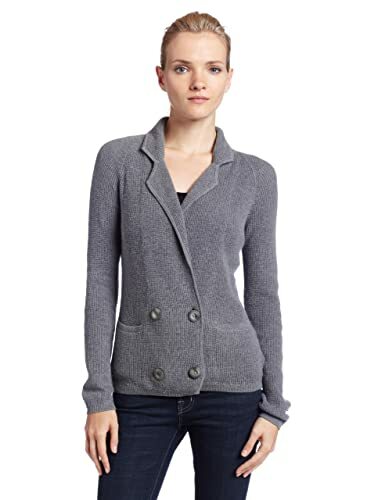 A grandfather cardigan made luxuriously soft and stylish. two lower front pockets and double breasted buttons add to the look. a great fall layering piece.